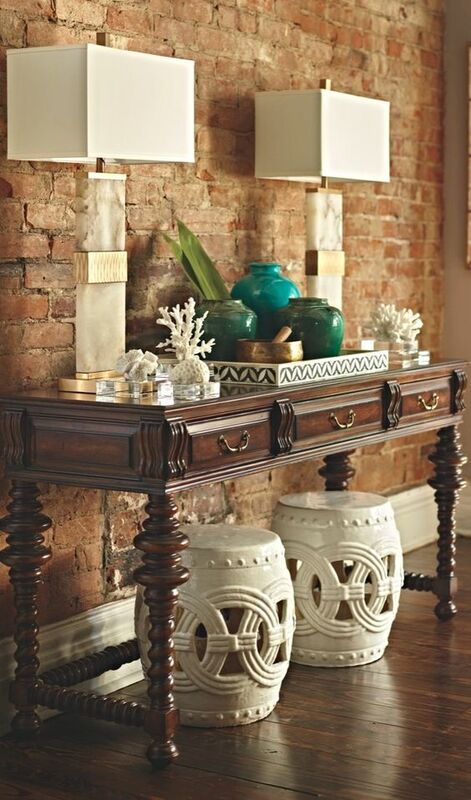 Many of us have console tables in entryways and living rooms, and you just can’t leave the table bare, some decor is needed. 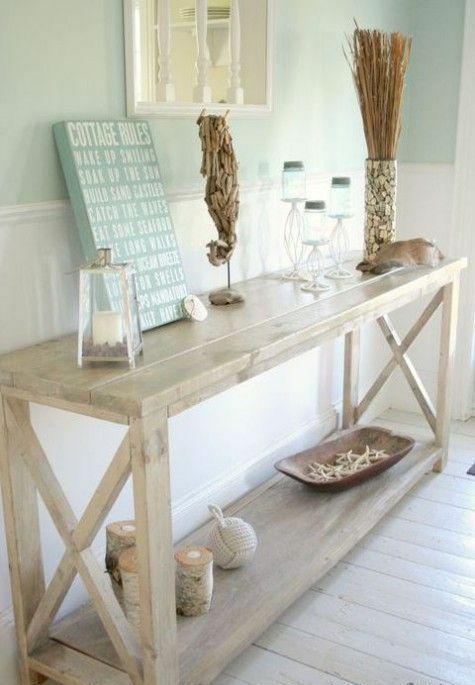 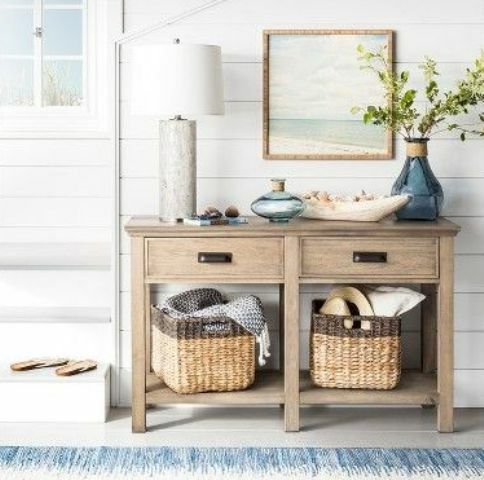 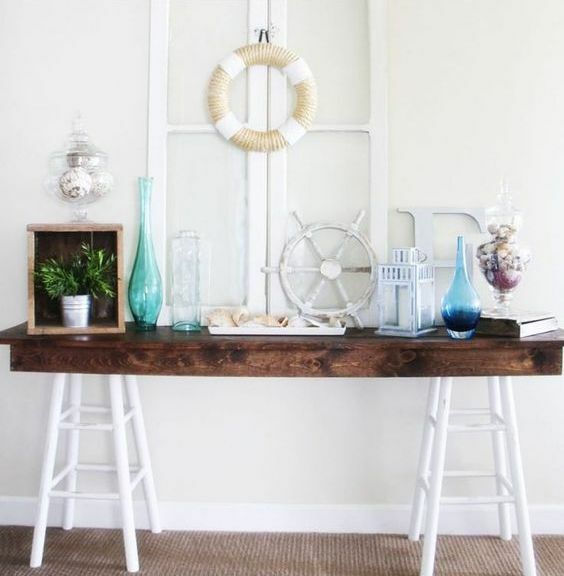 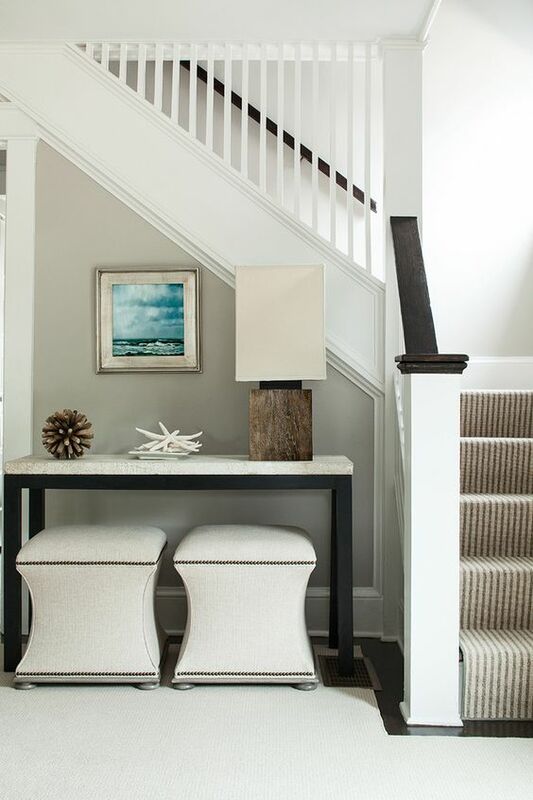 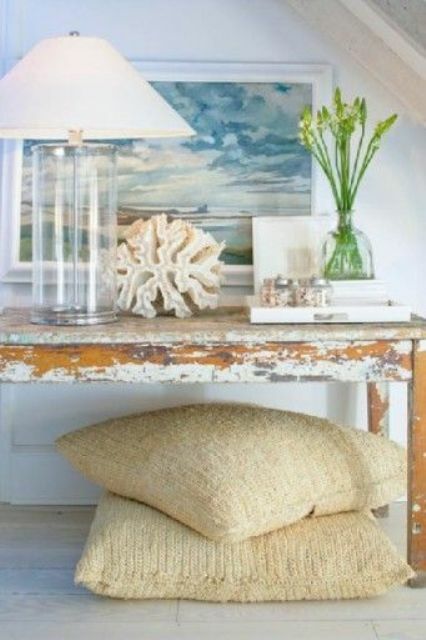 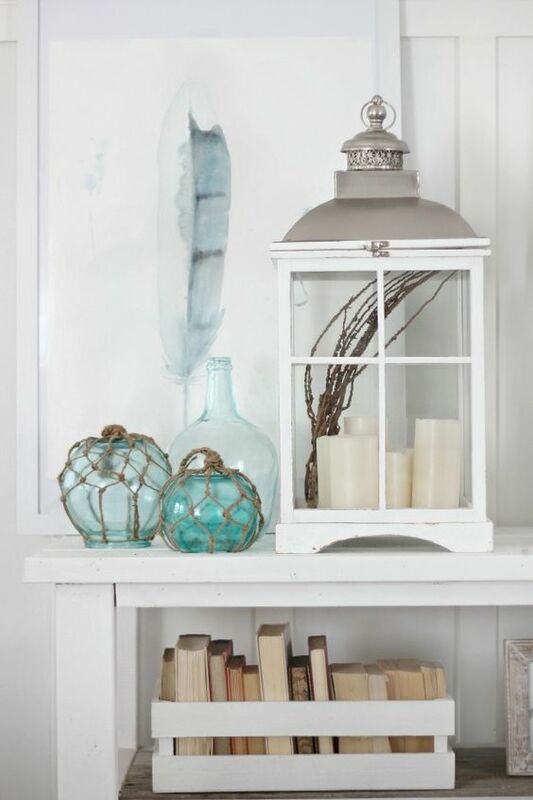 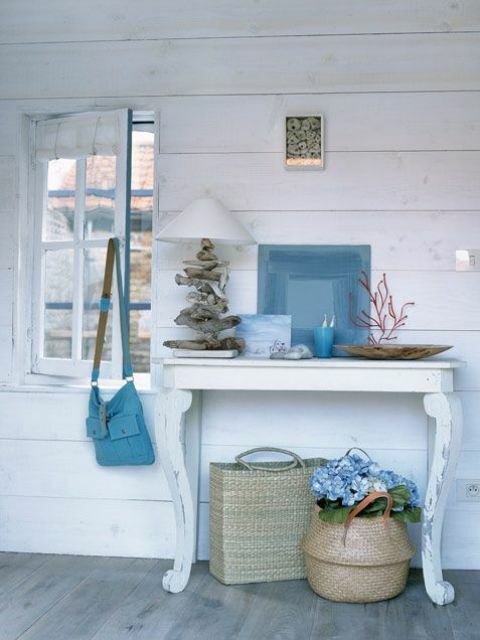 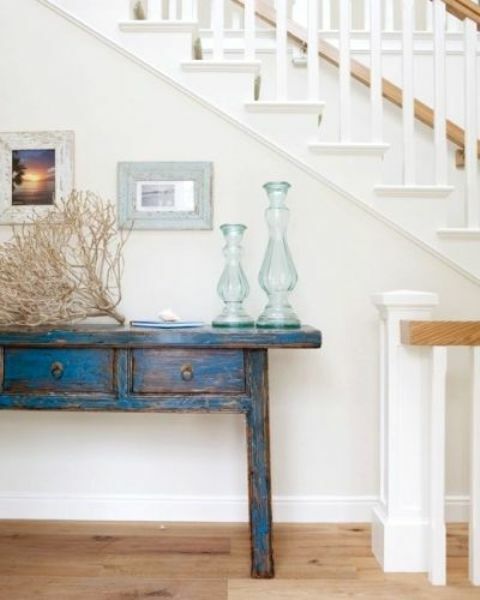 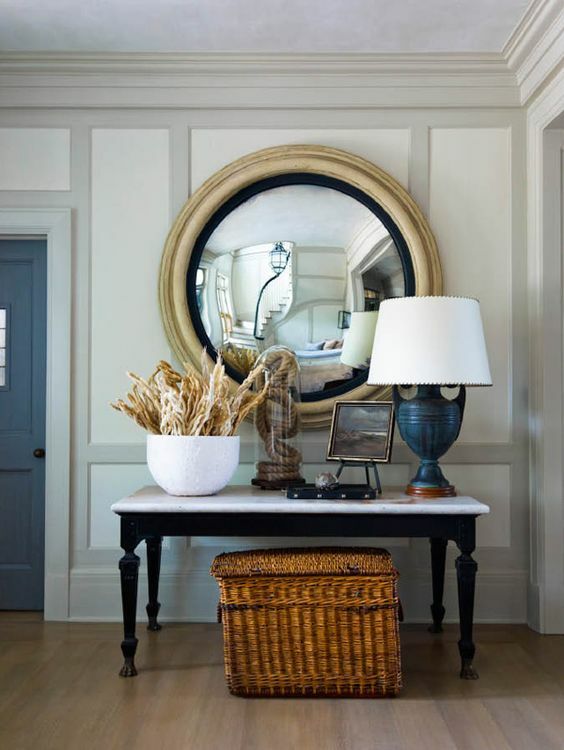 Style your console table in beach or coastal style, it’s a great idea for summer and spruce up your space for holidays. 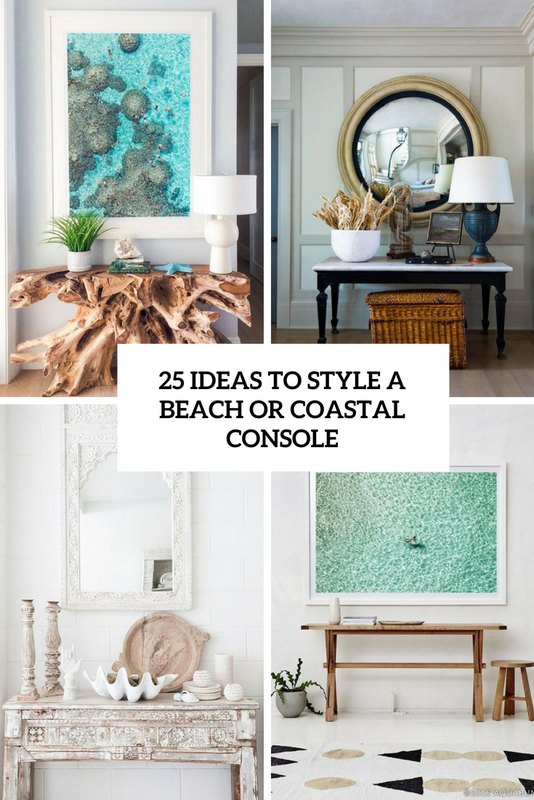 I’ve prepared some cool ideas that may inspire you, let’s take a look at them. 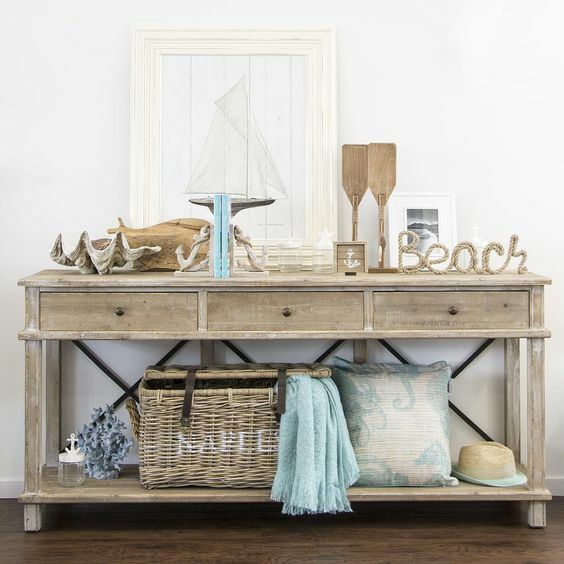 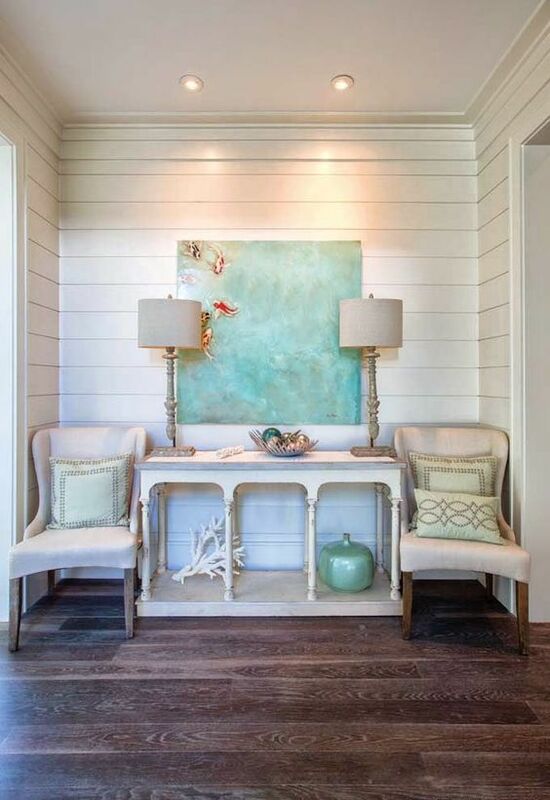 Change or renovate your console for your beach home or to add a beach feel to your usual space. 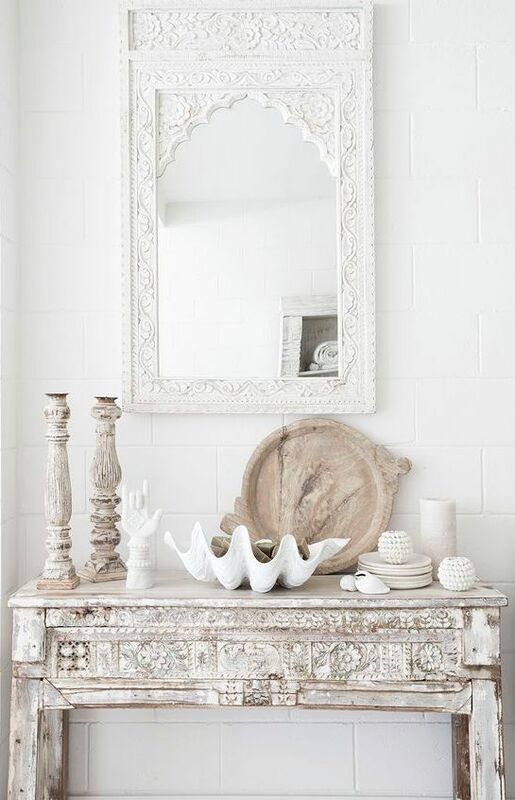 the most popular idea is a whitewashed wooden console, just change the existing one using some DIYs on whitewashing and distressing. 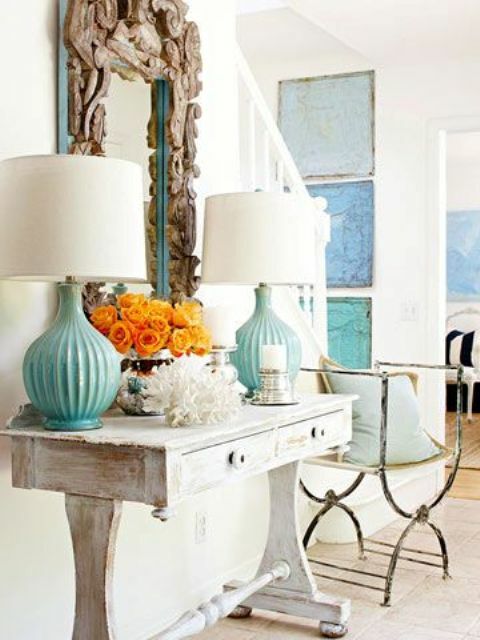 You may also try bolder sea-inspired colors – turquoise, aqua, various shades of blue and distress the piece again for a worn look. 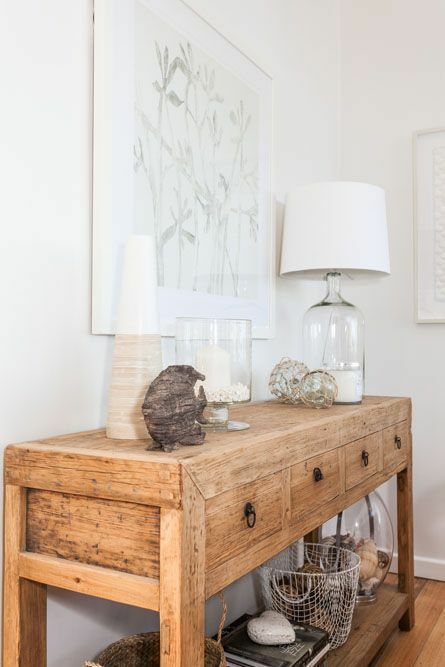 If you have a unique rough wooden piece at hand, use it as a console table, it will make a statement itself. 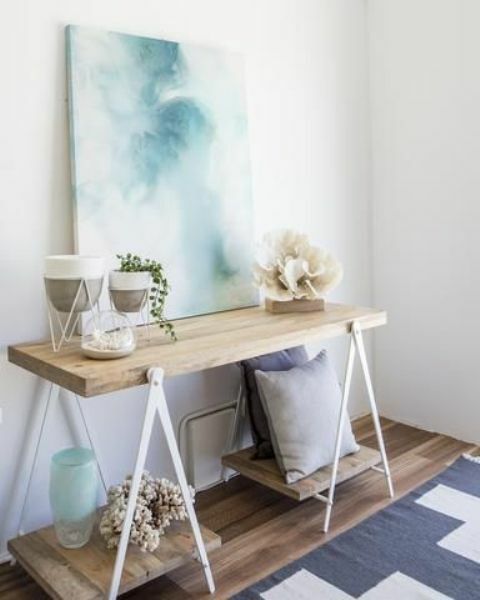 The easiest way to create a mood, an ambience and any kind of decor you like is to hang or place an artwork. 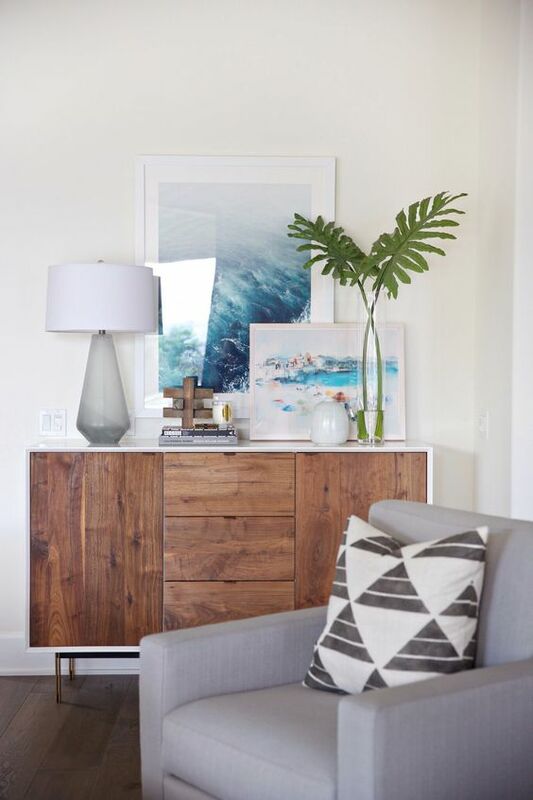 You may find a proper one or even DIY it, and it can be an oversized statement piece or a whole gallery wall over your console. 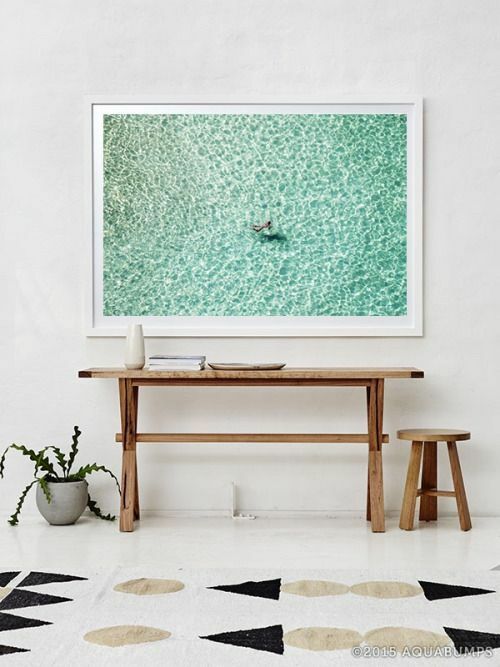 These can be painted artworks or maybe photos, you may use your own holiday pictures to enjoy the memories. 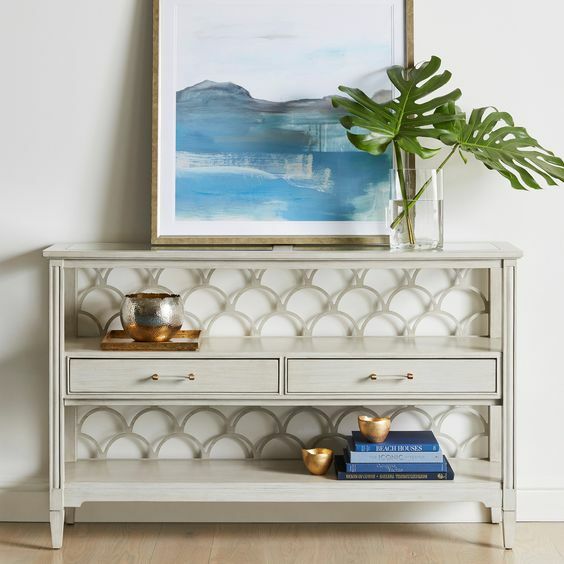 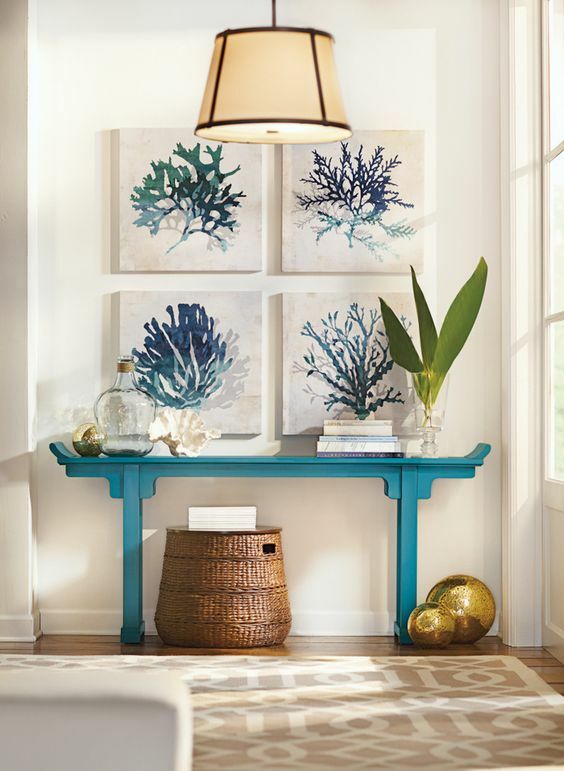 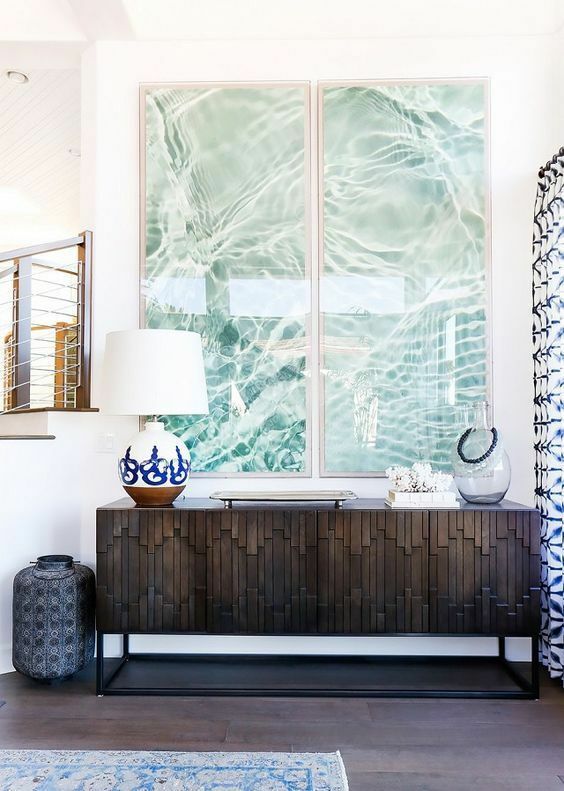 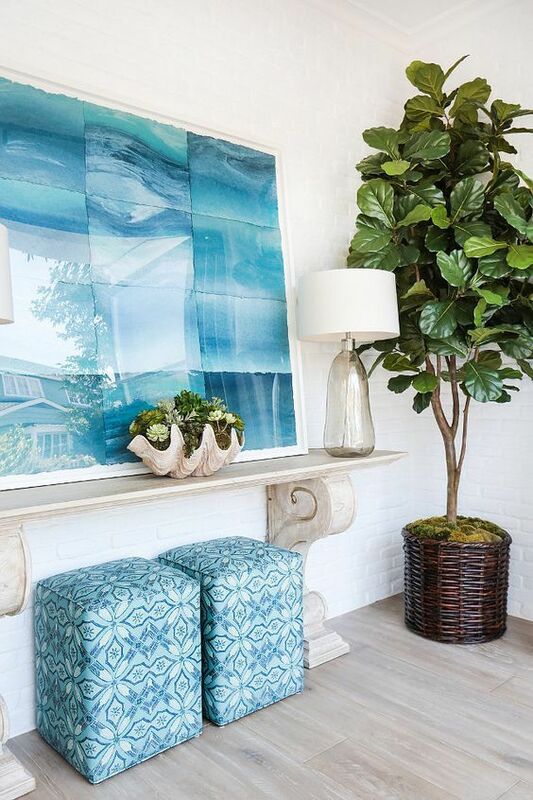 For a modern beach console table, an oversized artwork is the only thing you need – just hang it, and that’s it. 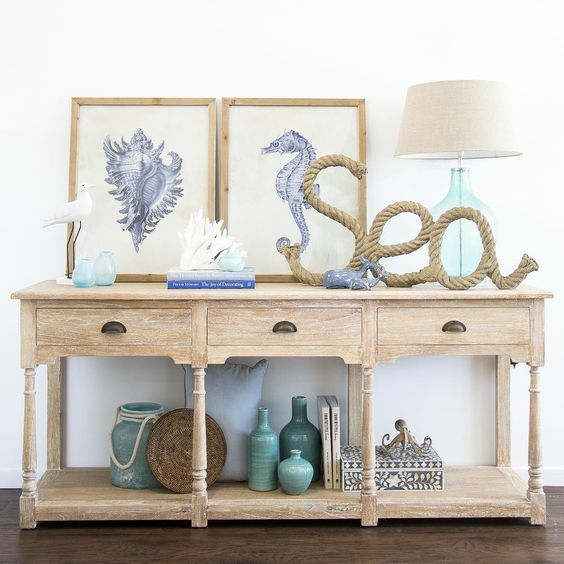 Nothing is more natural for beach decor than sea items – shells, sea glass and driftwood you’ve found on the beach, floats, star fish, corals, rope and stuff like that. 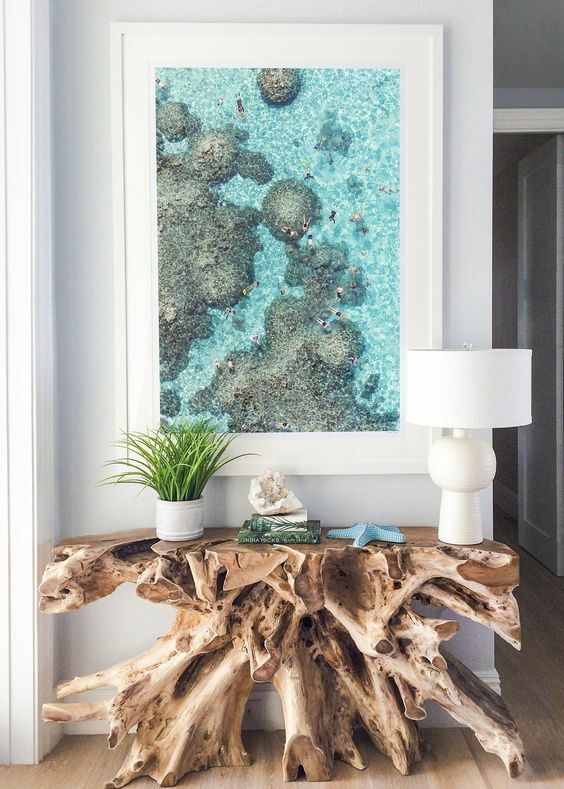 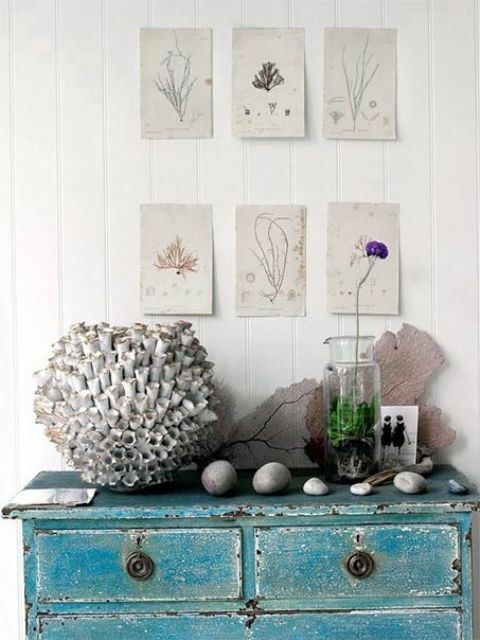 Besides just displaying them in cloches, bowls, trays and just placing them on the table, you may create art objects using them, for example, carve a fish of driftwood, make a sea horse clad with sea glass and much more – there are tons of DIYs you may find.